Design plans for Royal Bay Secondary are being reviewed next week. These show the design of the school – everything from heating, plumbing, electrical, and air movement, to the inside and outside design of the school. Slab on grade pour phase 1 is complete, the second pour is happening this week. 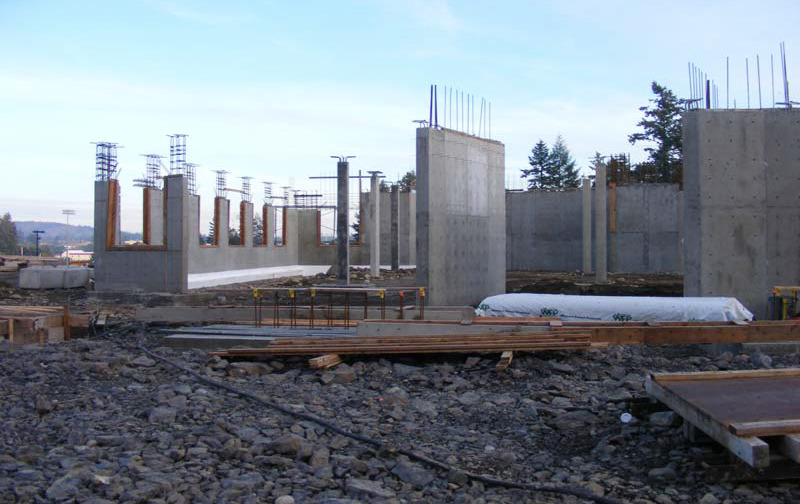 The walls of Royal Bay Secondary are being built offsite. The structural steel work will commence in the first week of February. Staff continue to meet with the builder on site every two weeks to discuss progress. Take the virtual tour of Royal Bay Secondary – Opening 2015! The design plans are 95% complete for Belmont Secondary. These show the design of the school – everything from heating, plumbing, electrical, and air movement, to the inside and outside design of the school. 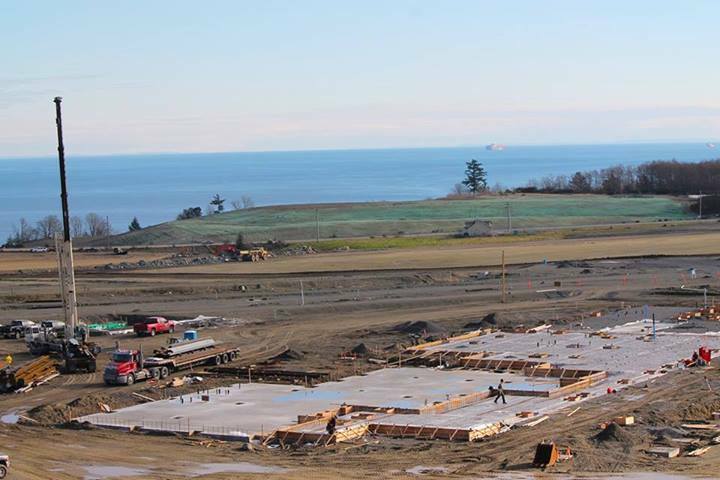 The pouring of the slab on grade commenced on January 28 and is expected to be 3 pours. The steel work is being erected at Belmont. Take the virtual tour of Belmont Secondary – Opening 2015!